Dance's galvanizing and transformative presence in art and theory over the last decade becomes part of a broader investigation of its dialogue with modernism's legacies. This collection surveys the choreographic turn in the artistic imagination from the 1950s onwards, and in doing so outlines the philosophies of movement instrumental to the development of experimental dance. By introducing and discussing the concepts of embodiment and corporeality, choreopolitics, and the notion of dance in an expanded field, Dance establishes the aesthetics and politics of dance as a major impetus in contemporary culture. It offers testimonies and writings by influential visual artists whose work has taken inspiration from dance and choreography. Dance--because of its ephemerality, corporeality, precariousness, scoring, and performativity--is arguably the art form that most clearly engages the politics of aesthetics in contemporary culture. Dance's ephemerality suggests the possibility of an escape from the regimes of commodification and fetishization in the arts. Its corporeality can embody critiques of representation inscribed in bodies and subjects. Its precariousness underlines the fragility of contemporary states of being. Scoring links it with conceptual art, as language becomes the articulator for possible as well as impossible modes of action. 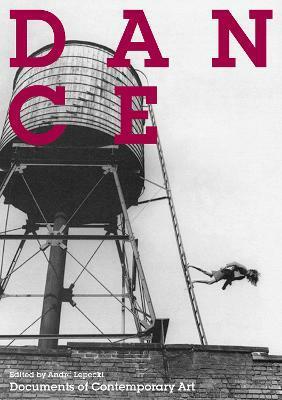 Finally, because dance always establishes a contract, or promise, between its choreographic planning and its actualization in movement, it reveals an essential performativity in its aesthetic project--a central concern for both art and critical thought in our time. This title is published in collaboration with Sadler's Wells, London. This variation in approach from humorous and cynical to conceptual and righteous and abstract, strengthens the collection. As he states in the introduction, Lepecki is trying to diminish misperceptions of dance and dance-makers 'as non-verbal artists creating a supposedly 'visceral' art whose sole purpose is to move gracefully, flawlessly, to the sound of music.' His editorial choices help both to ground and to elevate the dialogue.